Thanks to all of you who came to the Dasputnik and Holy Lamb gig at the Nabaklab club in Riga last Thursday, July 29. We owe you for making it a night to remember! And apologies for keeping you waiting: there's no other way but to get better at sticking to our schedules. :) See you in Liepaja next Friday, August 20! 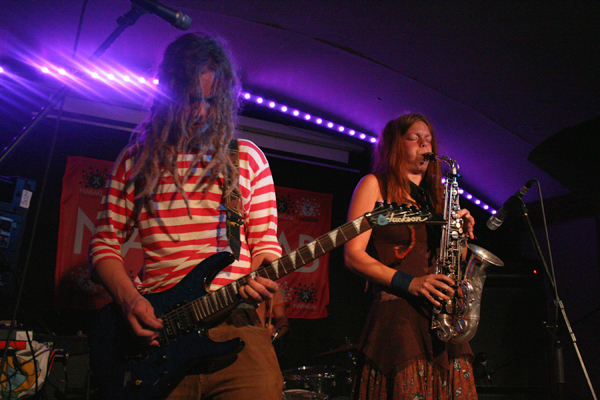 Below: Tuomas (left) and Sini of Dasputnik during their show at the Nabaklab.